The best activewear has features like hidden pockets and built-in support so that you can get the most out of your workout. A printed sports bra can really make your workout look come to life. This bra not only features a playful print but also contrasting trim and a zipper! Front-zip sports bras help you undress with ease post-sweat session. You can also show off your style by zipping or unzipping to your liking! Support is crucial when it comes to your sports bra. This not only offers underwire support but additional support with clasps in the front. This small detail is crucial when it comes to reducing bounce. The adjustable clasps on the straps help keep you moving without the painful bounce. Straps are in! 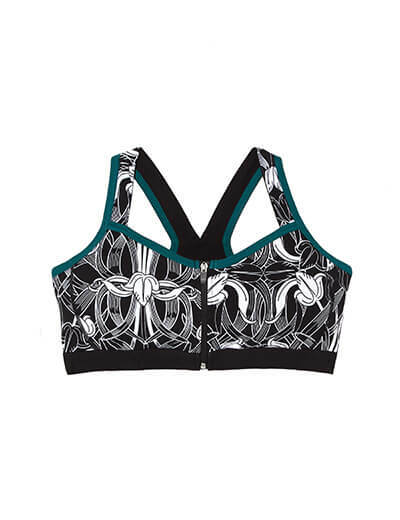 If you like to be cool when getting your sweat on, this stylish sports bra makes for a really trendy top, too. Show off those shoulder blades with this strappy sports bra! It’s sure to get compliments in your next workout class. Colorblocking makes for a playful pair of leggings. Rock a pair with bold colors and you’re sure to work out even harder than you thought you could. These leggings will be the envy of everyone in the class. Plus, they go well with anything from a black workout tank to a comfy white tee for a day of running errands. 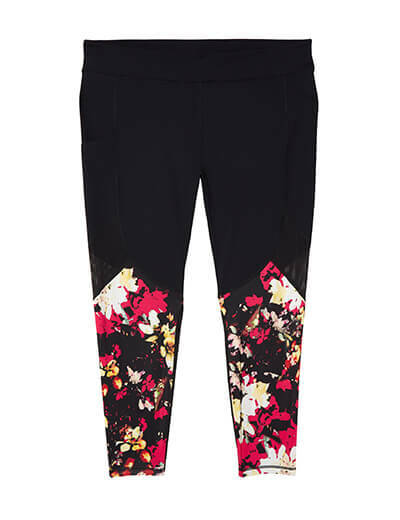 Upon first glance, you may not notice the sheer detail of these floral-printed leggings, but it’s even harder to see the hidden pocket! These leggings are full of surprises. Just slide your keys or a credit card into this hidden pocket the next time you go out for your morning run. No backpack or fanny pack necessary when you have everything you need at your finger tips! 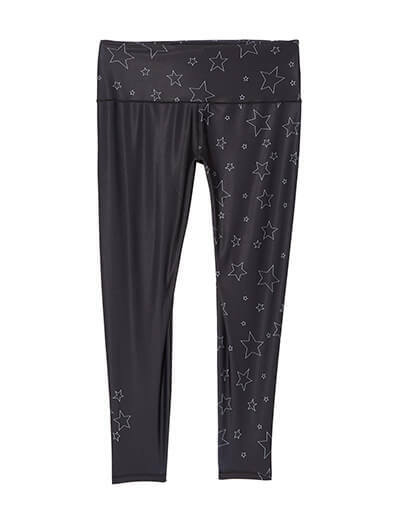 Show off just how much of a star you are in these printed leggings. If the stars align, you just might have the best workout ever. Everyone at your next workout class will be starry-eyed after seeing you enter! 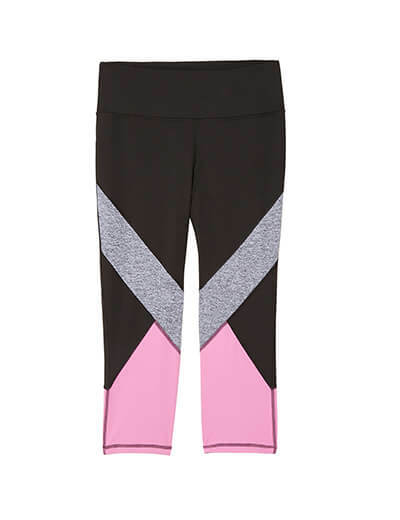 Do you have a favorite piece of Dia&Co activewear? Show us! Snap a photo and post on Instagram with #FitToThrive so we can admire how incredible you look!